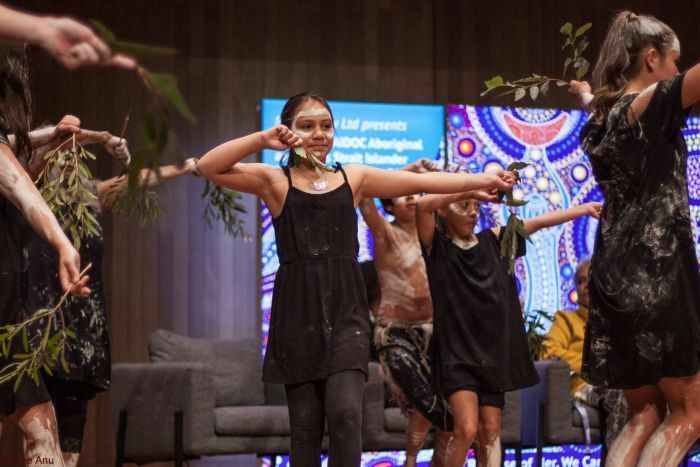 Hundreds of Aboriginal and Torres Strait Islander women have gathered at a two-day conference in Sydney as part of this year's NAIDOC Week celebrations. It's expected the meeting will bring together the largest number of Indigenous women in Australia for more than 30 years. The theme for NAIDOC this year is 'Because of her, we can', and it's encouraging people to reflect on the role of Indigenous women throughout history. 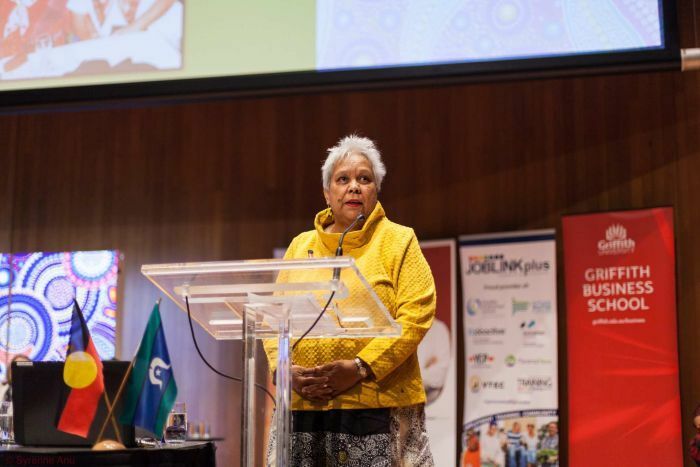 "Because of her I can — how fantastic is that theme; how beautiful," said Dr Jackie Huggins, a Bidjara (central Queensland) and Birri-Gubba Juru (North Queensland) woman who has worked in Aboriginal and Torres Strait Islander affairs for over 30 years. "And I cried, too, when I heard it because I thought, at long last, these women are going to be acknowledged in our life." Dr Huggins says it's important to empower the younger generations, so that they can continue to make strides and break those glass ceilings. As NAIDOC Week focuses on Indigenous women, there are calls for Australia's biggest companies to look to Aboriginal and Torres Strait Islander-run corporations because of their strong female representation. Increasing the number of women on boards is a perennial problem, with the latest goal to reach 30 per cent representation across ASX 200 boards by this year looking unlikely. But for one sector of Australia's business community, the issue is non-existent. Of the top 500 Aboriginal and Torres Strait Islander corporations, overseen by the Office of the Registrar of Indigenous Corporations (ORIC), 400 had at least 30 per cent female directors. Further still, since ORIC started monitoring the gender split of its Indigenous corporations in 2009, it has found women have consistently been in the majority on boards. 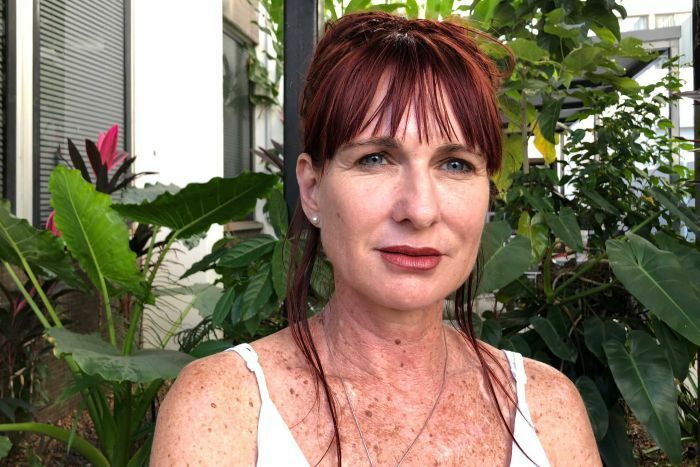 Priscilla Atkins is the CEO of the North Australian Aboriginal Justice Agency, and continues to sit on a number of national and local boards both in the legal and media spheres. Ms Atkins said the strong representation of women, including many Aboriginal women, was a reflection of their roles within communities. "Aboriginal women out in the communities are really the leaders in their communities — they're the ones that are out there supporting the community and their families," she said. "I suppose that's a little bit different in the non-Indigenous community because the men are still quite active out there and are seen as the leaders." 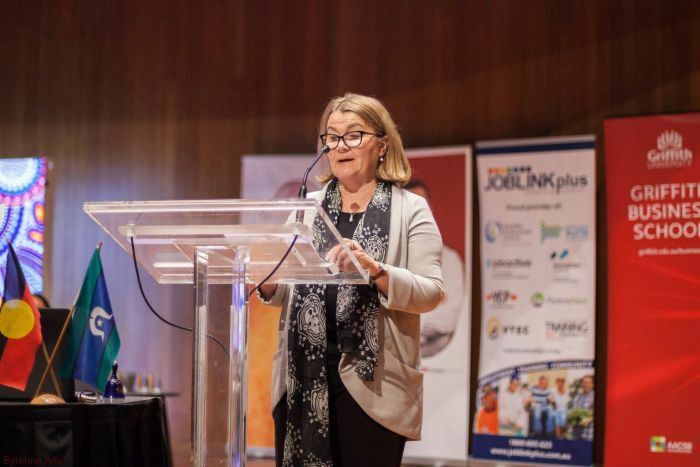 Ms Atkins said despite differences in culture, ASX 200 companies struggling to boost their numbers of women should be encouraged and inspired by the success of Indigenous corporations. "It's a fantastic example — you look at some of them, they're making a lot of money, they're contributing back to their community," she said. "They're really striving forward and that's because they do have 50 per cent women on their board." According to the latest figures from ORIC, between 2015-16 the income of the top 500 corporations was nearly $2 billion, with the vast majority of that — over $900 million — going to corporations in the Northern Territory. "So we're not talking little money," said Hannah Roe, Darwin regional manager at ORIC. "Our largest corporation registered in Australia is based in the NT and that's the Arnhem Land Progress corporation. "Last financial year their income was over $95 million. "Wherever your corporation is based, it's good to have diversity on your board and I think women bring a lot to a board. "Just because they don't produce as much money as an ASX corporation, [it] doesn't diminish anything in the roles that women play." The women attending the event in Sydney say while there has been a lot of work to improve the lives of Indigenous Australians, there is still some way to go. Bianca Graham is a young woman who has travelled from Broome to Sydney to take part in this week's events. She says she feels that her fortunes have changed considerably, especially when compared to her ancestors. "I feel like we're really given a seat, and equal to men and to non-Indigenous people," she said. "And I feel like we really have planted where we belong in so many different areas." 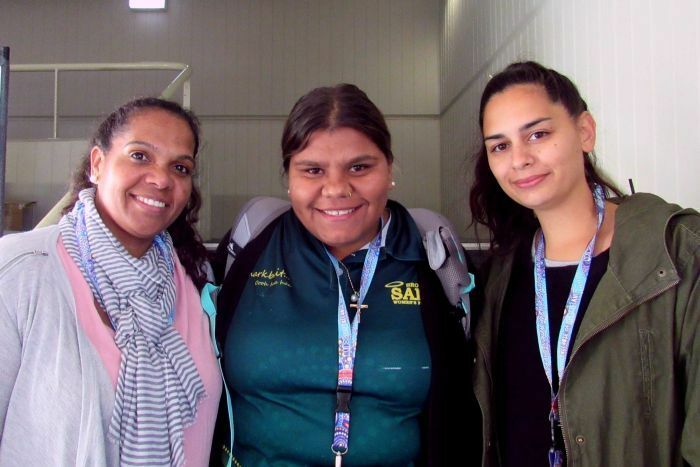 Emily Beckley is from the Torres Strait and she's also in Sydney for this week's events, which she says are providing invaluable opportunities. She hopes that events like this help to propel more Aboriginal and Torres Strait Islander people into positions that can help to bring about widespread change, for the better. "I'd like to see more Torres Strait Islander women in politics, more Torres Strait Islander women and Aboriginal women from the far north to be in jobs that they can shape policy, shape the way the Australian policy is as well, so that we can be recognised as First Nations people," she said. 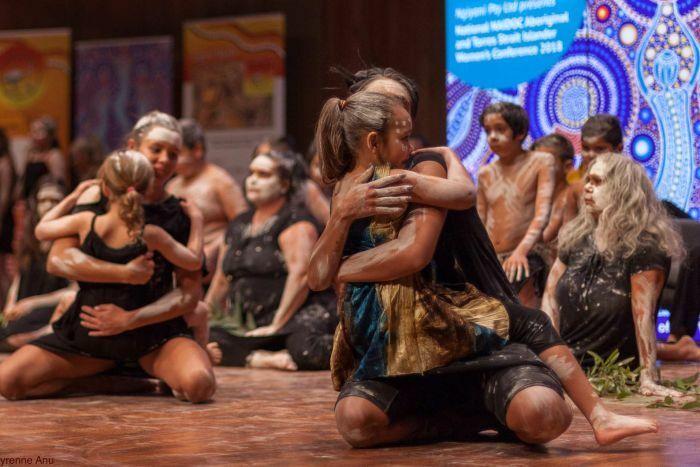 Dr Anne Martin, who has been co-chair of the NAIDOC Committee for almost a decade, hopes that things do continue to improve for each generation. "I want our children, my grandchildren, to be anything that they want to be, and to know that they are part of an equal society," she told The World Today. She hopes that racism does not play a part in the lives of her grandchildren. "I have a great hope for our future. I have the utmost faith in our next generations coming behind us — they're bringing a new narrative into this wonderful story," she said.